Courts are becoming increasingly strict in their approach to granting orders for possession. It is therefore essential that Landlords comply with certain requirements at the start of the tenancy and long before the thought of Court Proceedings crosses their mind. Secure Deposits- Most deposits taken by a Landlord need to be protected in a Government backed Tenancy Deposit Scheme and a certificate needs to be given to the Tenant, with prescribed information. Failing to secure a deposit in time makes it more difficult to obtain possession of the Property and a Tenant is able to bring a claim against a Landlord for compensation, which can result in the Landlord paying the Tenant between one and three times the deposit. How to Rent Guide, Energy Performance Certificates (‘EPC’) and Gas Safety Certificates– It is good practice to provide the Tenant, from the outset, with the above information. For Houses of Multiple Occupation, Gas Safety Certificates should be displayed in common areas. This information needs to have been given to the Tenant before a Section21 Notice, seeking to terminate the tenancy, is served. The s.21 route is no-fault based and gives the Tenant two months’ notice. The s.21 route must be used in all cases involving an Assured Shorthold Tenancy, whatever the date the tenancy started. The s.8 route is commonly used where there are rent arrears of more than 8 weeks and in these circumstances only two weeks’ notice is required. Landlords should always make a note of when and how a notice is served. Order for Possession- Where a Tenant fails to leave on expiry of the s.8 or s.21 Notice, a court application may be required. Landlords should check that they have complied with legislation before incurring the court fee and issuing proceedings. Seek Legal Advice- If you are unsure of any of the information above, Landlords should consider seeking legal advice. Serving a notice incorrectly or not complying with Housing Legislation can be fatal to an application for an Order for Possession which may mean a more costly and lengthy process in obtaining possession of their property. Obtaining an Order for Possession can sometimes be a lengthy process and therefore Landlords need to be aware of the above in order to obtain possession quickly. 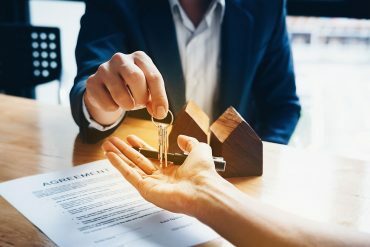 At Thompson Smith and Puxon we advise clients at all stages of the possession process and can assist Landlords and Letting Agents alike in obtaining possession of properties. Please contact Naomi Baker, a Solicitor in our dispute resolution team, at naomi.baker@tsplegal.com for more information.